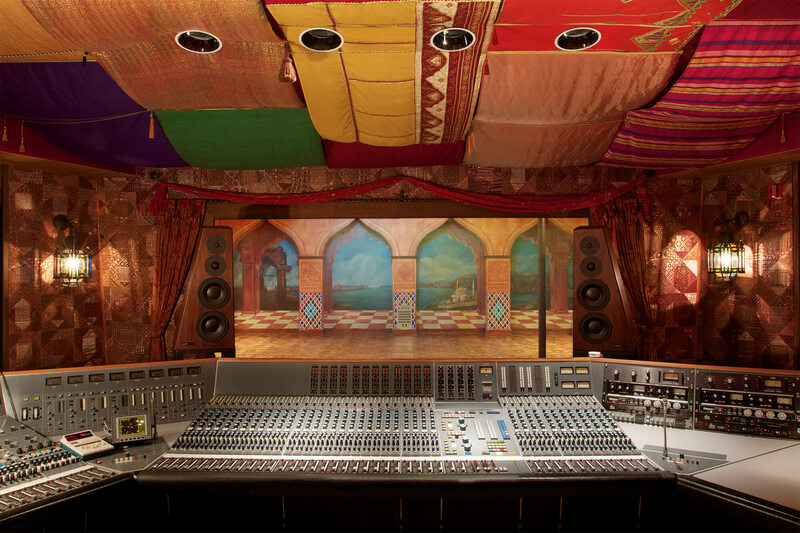 With a Moroccan motif, Studio B features a 30' x 40′ live tracking room with hand distressed walnut flooring and spacious 25′ ceilings. 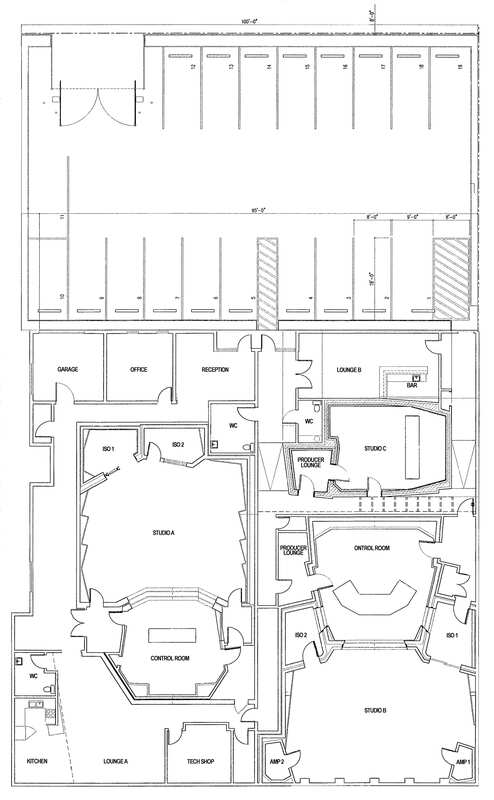 Studio B has a 6,600 cubic feet control room with a 12’ floor to ceiling window that allows you to view the large Mediterranean mural in the live room. 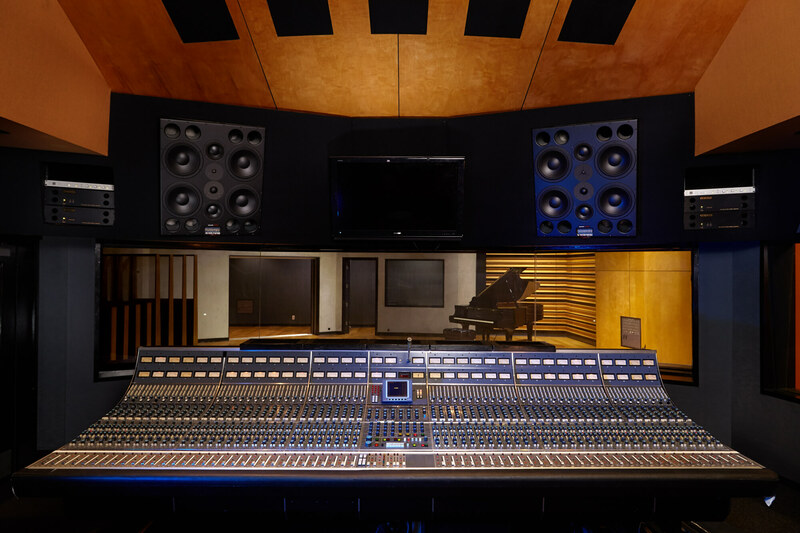 Studio B also features 2 iso booths, 2 amp rooms, a producer’s lounge, as well as a Yamaha C7 grand concert piano. The Studio B/C lounge has a pub-like atmosphere with a mahogany bar, widescreen HD DirecTV with surround sound.